What a view. Photo courtesy of Four Season's Troon North. Wondering what to do with your day off? 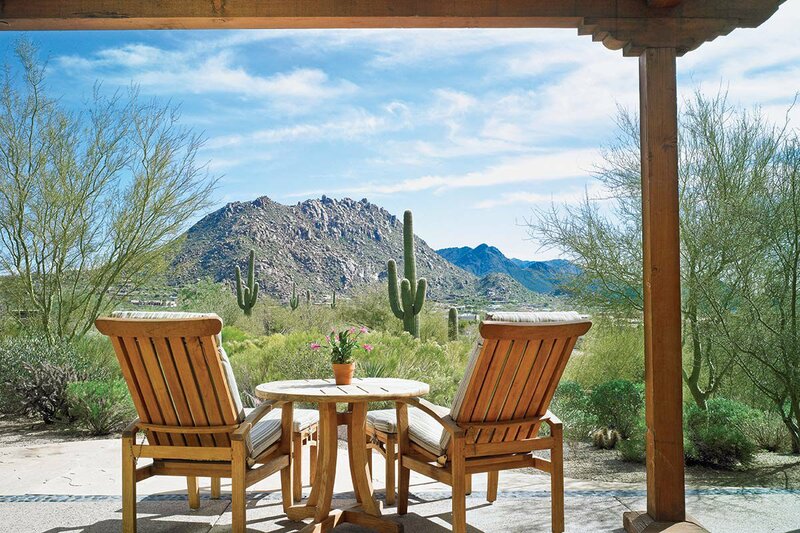 Make the most of your time in Arizona with these one-day and overnight itineraries. ARIZONA - From legendary Sedona vortexes to the sprawling winter residence of Frank Lloyd Wright, there's so much to see and do in the great state of Arizona. When you have a day off, here's where you should start. Explore Frank Lloyd Wright's winter residence. Photo courtesy of Taliesin West. Go au naturale: Take a kayak down the in the rugged (keep an eye out for wild horses). If you're feeling energized, expand your lung capacity with the 3.5-mile stretch of or the more rigorous . Unwind with canned beer and dancing at rustic, honky-tonk . Dine on Arizona ranch-raised meats at mod and watch the sunset by an outdoor kiva before you drift to sleep at . 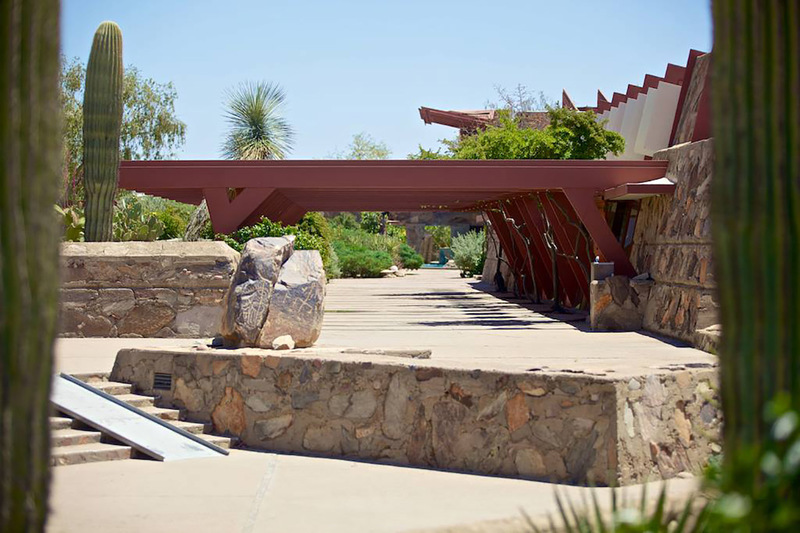 Or think artfully: The Sororan Desert makes a great backdrop for viewing Frank Lloyd Wright's sprawling , the architect's winter residence. Drive over to 140-acre for a green assortment of cacti and succulents. For a study of space and light, stroll on architect Paolo Soleri's namesake bridge. Procure a table at for seasonal fare and return to swanky-cool 1950's for an evening dip in the midcentury-inspired pool. Saloon-style entertainment. Photo courtesy of Blazin M' Ranch. Harvest nature's bounty: Drop your bags and warm yourself by the fire at on quiet Oak Creek. Peek inside the iconic, spiritual for various Instagram-worthy moments. Throw on a pair of hiking boots and make your way along the to take in the blazing colors of the canyon. Break for lunch at the no-frills and quite delicious . 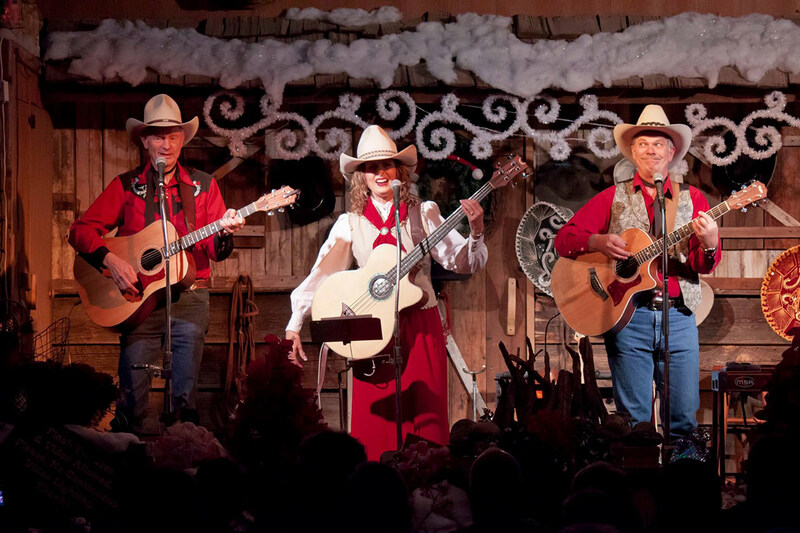 For good ol' fashioned saloon-style entertainment, drop by for a chuckwagon dinner. Or channel the vortex: Skip the psychic reading and instead gather wisdom from legendary Sedona vortexes — where it's said that the earth radiates with heightened energy and enlightenment. Feel the force at Bell Rock, a series of gravel trails with panoramic views of red rock formations and, if you're lucky, a perfect western sunset. At night, stargaze at the secluded and try a massage using Arizona basalt stones energized by moonlight.